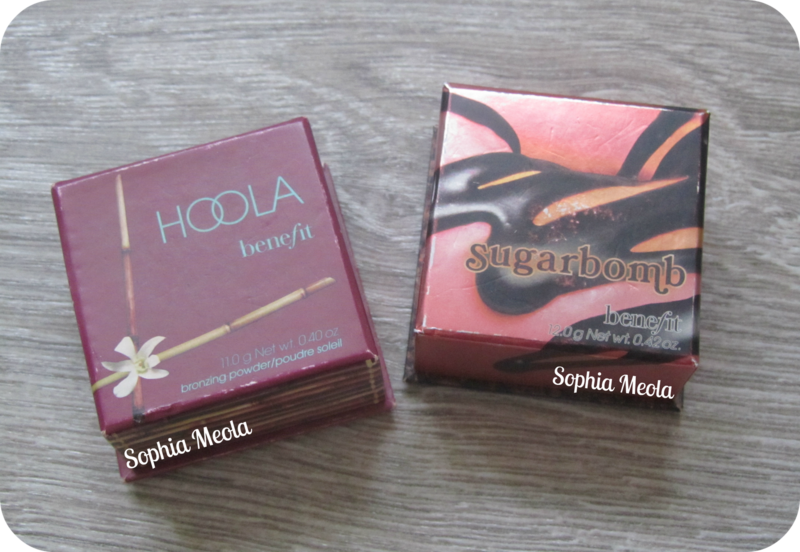 My everyday go to Bronzer is Benefits 'Hoola' and my go to Blush is Benefits 'Sugarbomb' :) Like i said in a previous post, the day i passed my Driving Theory in 2010 me and my mum went shopping after to celebrate and purchased a load of items, 2 of them being my Hoola Bronzer & Sugarbomb Blush. As you can see from the picture i have hit pan ALOT but considering i've been using them near enough everyday for about 18 months they are super duper long lasting and definitely value for money. I had my eye on Hoola for a while and when we went to the Benefit counter i knew that was one of the items i was definitely going to purchase. Then the counter makeup artist offered to do my makeup and used an array of items from 'You Rebel' tinted moisturiser, BadGal Lash in Plum and the Hoola Bronzer & the Sugarbomb blush. At first i had my eye on the 'Coralista Blush' but as soon as she used the Sugarbomb i instantly fell in love. It was a little scary in the box because it has four different shades, a light pink, dark pink, peach & Purpley plum shade but swirled together it creates the most beautiful illuminating blush which really defines your cheek bones. Hope you enjoyed this short post :) i'd love to know what your favorite bronzers an blushers are! 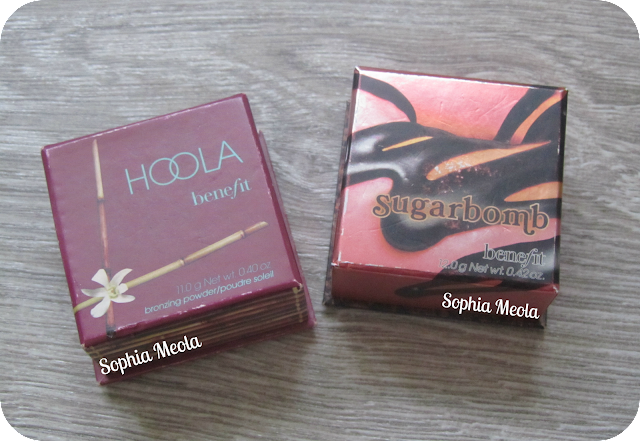 Oooh I've purchased Hoola before but never Sugarbomb but it looks right up my street! I love Sleek's trio of blushers but my two fav's from it are "crochet & chantilly"
Long time no speak! 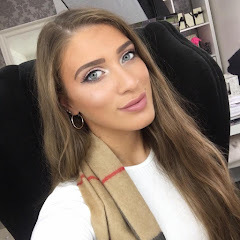 - I love the look of "Hoola" but I really want to try "Coralista"
I'm currently loving my MAC Cremeblend Blush in "Something Special"
I love a great bronzer! The one that I use is from Clinique. I've read excellent reviews like yours from Benefit bronzers so when mine runs out, I am going to try the Sugabomb, I like the multi-colore. First time visiting from the blog hop, would you like to follow each other? I have always wanted to try this bronzer I already love the blush but now you def convinced me to go get it. Thx for stopping by my blog new subscriber I like your blog very cute. Thanks for your wonderful comment on my blog! I really like your blog, and am your newest follower! Ive never tried the hoola bronzer, but Ive heard it is really good! Its great to also know that they are long lasting! I've only ever used tinted moisturiser from Benefit but their packaging is so cute, especially their boxed blushers/bronzers! I've never tried Benefit Hoola Bronzer, but I need to because it looks lovely and I'm always being told how amazing it is! Hey thanks for stopping by my page. 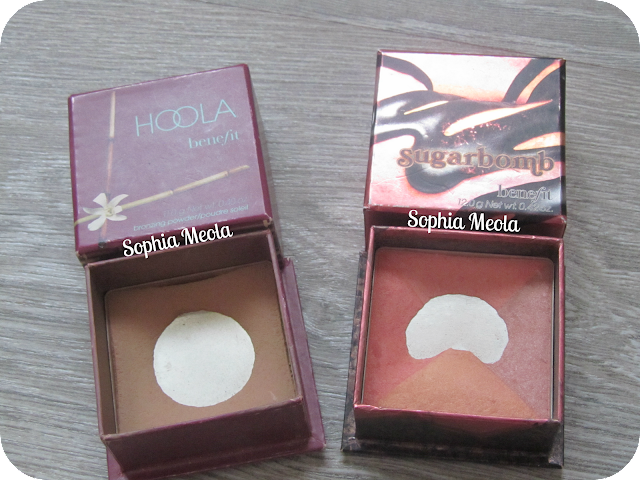 I love hoola too...perfect shade to bronzer & contour with. Have you tried benefit dallas?? I use Hoola, I looove it! I would love to big up Sugarbomb as well as Coralista!